The cachet of “Hollywood” is driving up the demand for American Made beauty products in International export markets, and California is at the epicenter of beauty innovation and the rising demand. 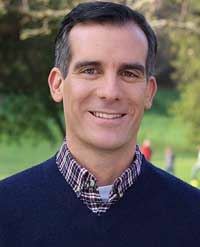 Mayor Eric Garcetti’s Economic Development Trade Program is focusing their resources this month on supporting the growth and development of beauty brands wishing to expand into International markets. Discover what resources are available to your company to engage in or expand foreign distribution and how your company can benefit. Brands will also be recruited for the Hong Kong Trade Show. Join Us to learn how your company can benefit! Include your Name, Company Name, Address, Email Address, & Phone Number. To Register: Send Ruth Amanuel an email to ruth.amanuel@lacity.org. Include your Name, Company Name, Address. Email Address, and Phone Number. LA Mayor’s Office, American Made Beauty, Beauty Industry West, City National Bank, California Trade Alliance, CITD, Kirschner Group PBA, LA Chamber of Commerce, LA Trade Connect, Milken Institute NTE Initiative, Universal Companies, and USCS. Event is SOLD OUT however, you can still register for the remote access now at the email address above.